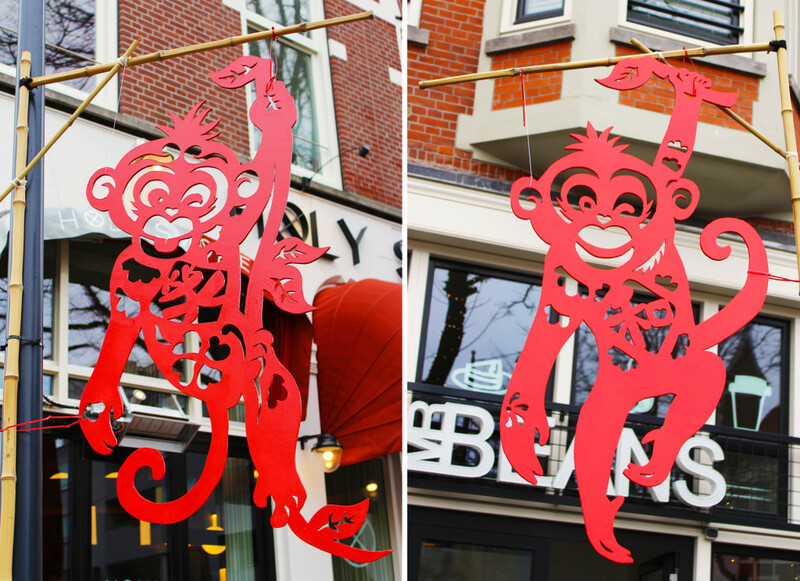 For the year of the Monkey, we made seven lucky monkeys for the Rotterdam Chinese New Year festival. 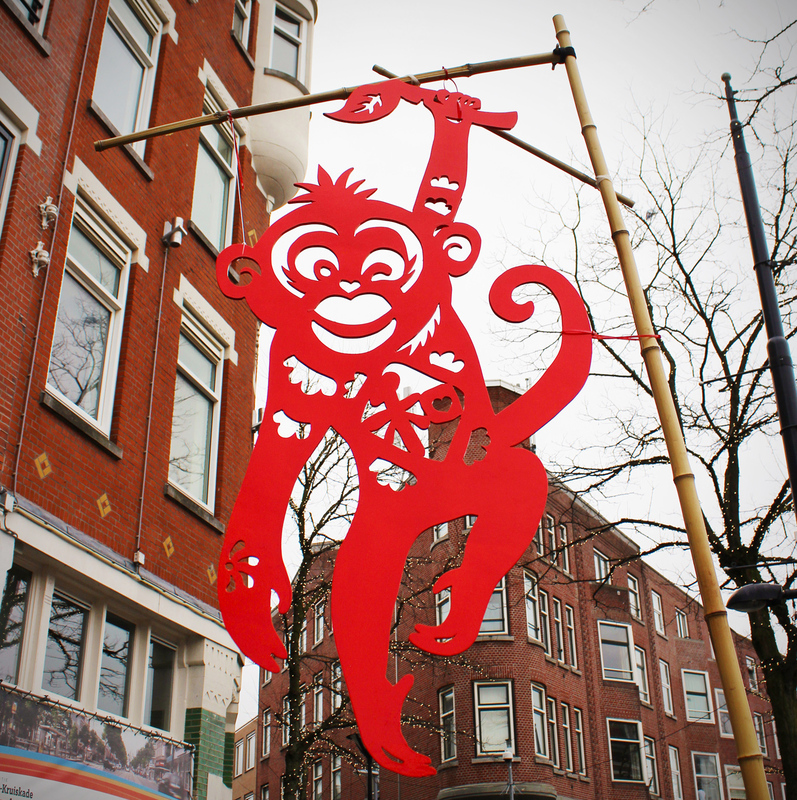 The monkeys were made for seven special locations during the festival program. 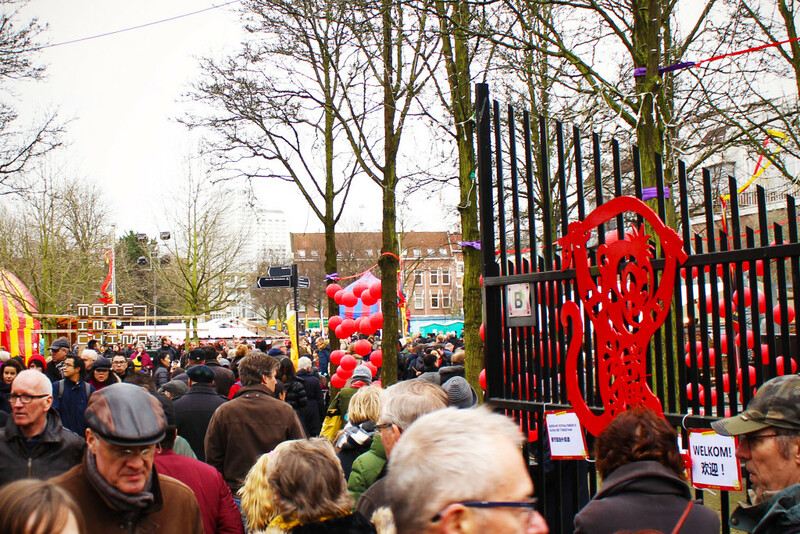 Visitors could follow the monkeys on a quest tour for a new year’s activity. 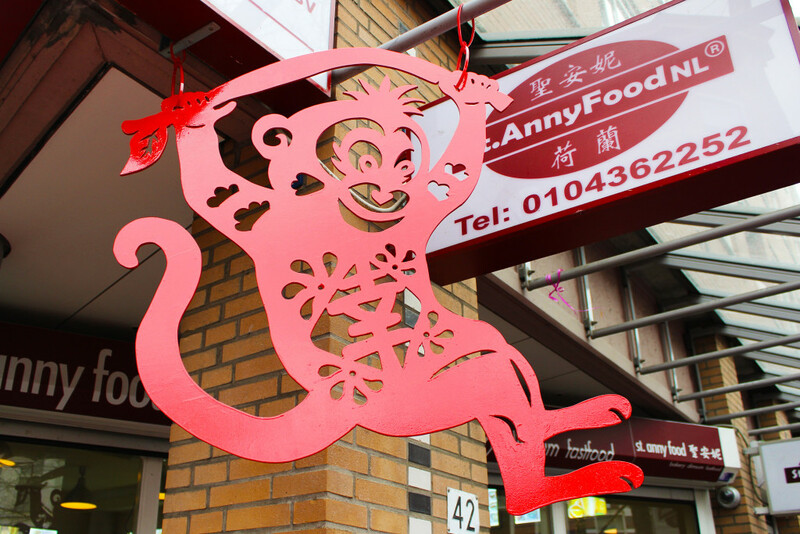 Each monkey has a lucky symbol to welcome the visitors like fortune, longevity, prosperity and love. Like our Double Dragons, we were inspired by the traditional Chinese paper cut art. 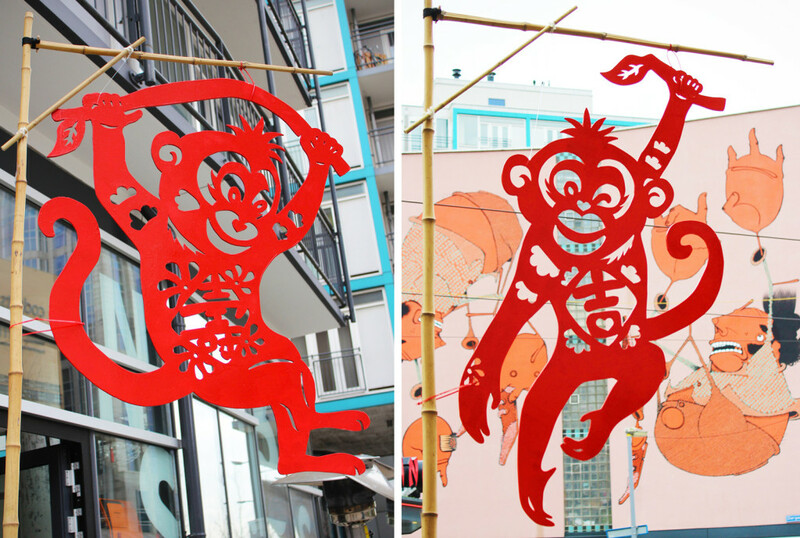 The Seven Lucky Monkeys were sawed from strong lightweight wood and were painted in symbolic lucky red. Each monkey is about 1,2 meter in height and most of them were hanging on a bamboo construction of 3 meters high. 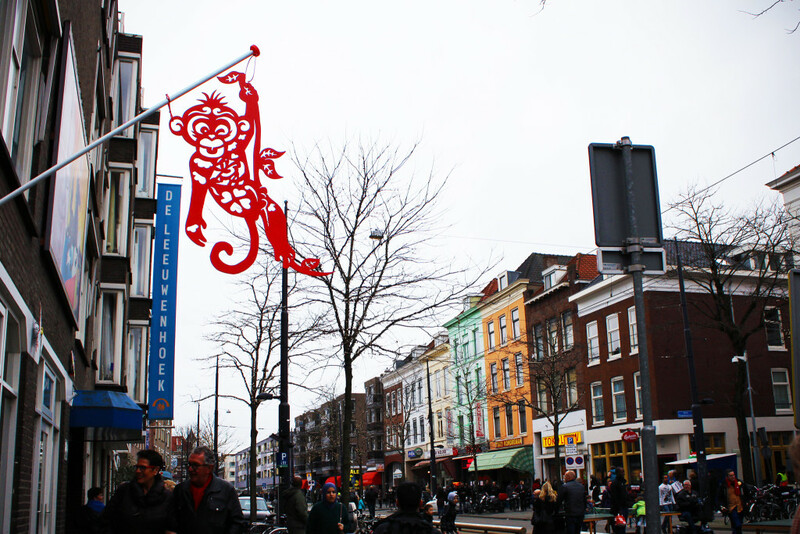 All monkeys were located in the main street West-Kruiskade, the heart of Chinatown Rotterdam. At the end the monkeys were adopted to support future art projects.